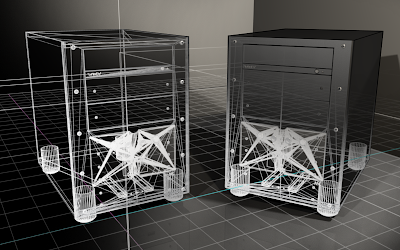 In my recent post, Blender 3d: Render 1 Image Simultaneously On 2 Computers, I've made a model of a computer case in Blender 3d. It is modeled after a Soldam Windy Cube casing, a very high end casing from a Japan manufacturer. However, please note that I did not model the insides of the casing and the back of it. 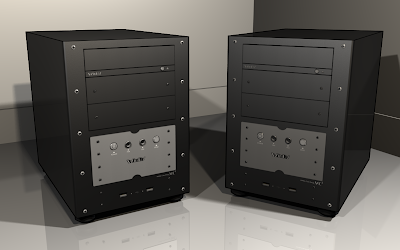 As my initial purpose for it was to show the casing from the front, modeling those parts will take up lots of extra effort. Hi again! I'm back after a few days of no internet. It was no accident, the internet was not down. I was revamping my computer, which is also the very computer used to make this blog. Let me share some pictures of the end result. The wires... Bent and hidden. My fingers are all bruised by bending them. Those people there are really skilled and rich. Firstly, I would like to mention that I am still a student. Not some full time professional graphic designer. All the views may not be accurate on a larger aspect, but they may still be worth contemplating. Like many designers out there, I have been though tough times. thinking that you have done your best and everything you could? but you face harsh critics from your teacher. "You got to work on it a lot. You current standard is below-average." "I don't think this works." "You are just a student. I have many years proper experience to judge." "Others are much better than you." "I can only give you a C-grade at most." As a designer, these are the comments I get when I post things on forums and show my artwork to others. "This image does not look good." "Nice try, but it looks bad." "The.. blah blah blah needs to be improved upon. It really looks crappy like this." I know its always good to listen to constructive criticism. But... not from people who are not with the same artistic taste as you. A rock music critic must not judge a classic violin piece. "What is it that he wants to achieve in this artwork, that I do not like?" "Did he put a lot of effort into it?" "What are the emotions of the artist that spurs him through these process of creating the artwork?" Every one goes through education for two purposes. One is to learn. But in our superficial society, such "learning" principles are antiques of the past. Have you ever seen a job application that suits you? You know it is your niche, its your line of work. But it only accepts degree holders. But, to get a degree, you have to do things that are not related to your job. Junior colleges are one of such things in my country. We learn general things like maths, economics, etc. But what many of the people there wish to do in the future aren't really taught in those subjects. It can be though of as learning how to analyze the economy if you want to get a job as a computer programmer. Also, as posted in my previous post on stereotyping in graphic design, many big companies out there seek people who are good in certain programs, and not others, even both programs does the same. Examples include autocad and 3dmax, paint shop pro and photoshop, flash and illustrator. Sometimes, digital artists are not the respected ones in the country. They are thought of as lower class jobs. Programmers are poorly paid compared to the early days of computers. Website designers and other designers are poorly paid. (I've heard this from some forum friends in this field) Some people say its the massive horde of cheap labor coming from China and India. Well, I can't do much about this. But nevertheless, let us not give up our passions despite the lack of potential for a "real job". Anyway, since I'm still a student, there seems to be no need for me to get stressed up about it. Still, it really feels terrible when you discover that your money making interest isn't really that money making after all! Yesterday, I made a 3d model to be displayed in case my friend's server is down. 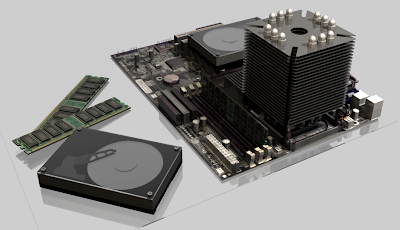 As his server is actually a mainstream desktop system in a cardboard box, I thought that I should do a model consisting of some desktop components. 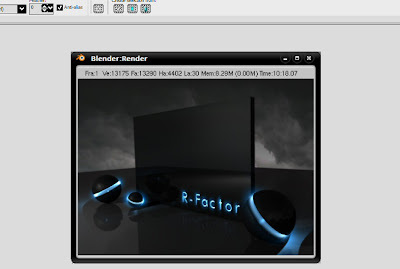 The model is made using Blender 3d, a free open source 3d modeling software. 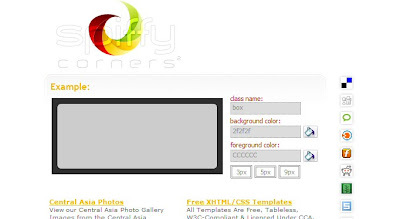 Most of the CSS codes, flash, php, tutorial sample files for this blog are kindly hosted by him for free. But sometimes, servers behave unexpectedly, like most computers do. They hang, perform weird stuff, etc. Furthermore, even if the server is completely 100% fault free, internet service providers do have downtime from time to time. In case of his server being unavailable, this blog will have a broken layout and broken content, which is definitely not a pleasant experience to have. Even though I would like to host everything with blogger alone, but due to its restrictive hosting features, not all content can be hosted by it. If you want to test out the server down notice, you can click here to see it. You may have noticed that the 3d model in my error message has an outline. The outline is actually rendered separately and resized to make it thinner. 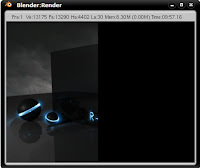 I have a tutorial regarding on how to do it here: Blender 3d: Rendering Outlines Separately. If you like the 3d model, you may use it and redistribute it freely for non-commercial purposes. If you find it useful, do us a small favor by linking back to us. Reciprocal linking is purely voluntarily though. =) But you may not claim my work as yours (eg. redistribute the files watermarked with your own logos). However, if you modify the 3d model to something that looks really different, then you may claim the end result as yours. I shall elaborate no more. Try it to see it for yourself. When you use your computer, you may notice that there are some fonts included by default. However, not all these fonts should be used on the internet. Only those that are shared among all computers, the PCs, the macs. For example, if you specify your font as Calibri, a quite well-known font that's default only among vista machines, a mac user or a XP user viewing the website won't be able to see the text in Calibri. So, I want to point out about the fonts that are common in all computers, and they are known as web safe fonts. So, when checking for the font to use, the viewer's computer will check for 'Comic Sans MS', then check Textile. In the banner of this blog, you can notice the arrows look like they emit a "glow". For this tutorial, I will teach you how to make something similar. 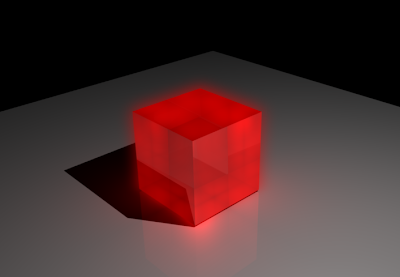 A glowing cube. 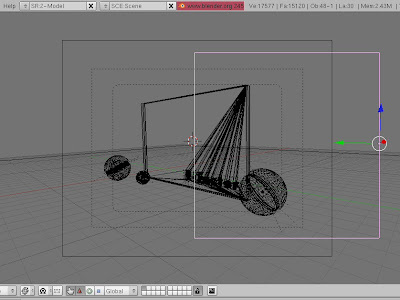 Firstly, open up blender 3d. There should be a cube in the 3d view. To simplify things, we shall be using the cube that's already there. Here it is. 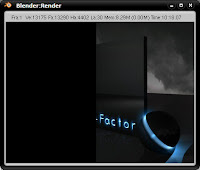 It should be on your screen when you start Blender 3d. Then apply the following settings - Color: Red, Emit: 0.500. This causes the material to glow red. To make the glowing halo, we need a separate cube that is similarly sized as the original one. 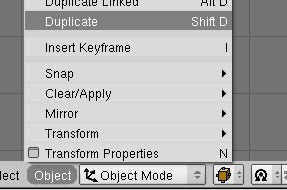 Duplicate the cube by going to the "Object" menu, then press "Duplicate"
Alternatively, press Shift + D for a shortcut. 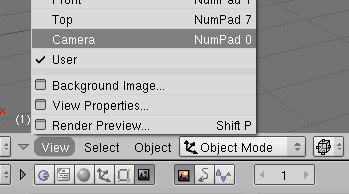 It is a good practice to know the common keyboard shortcuts in Blender 3d for faster work. 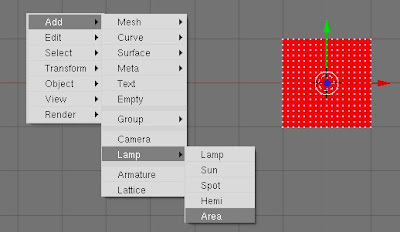 You'll still need to duplicate objects later on in this tutorial, so it will be helpful to remember Shift + D.
After duplicating the cube, we need to give it a different material. Under the materials settings, click on the material menu and click "ADD NEW". With the halo box still selected in 3d view, go to the edit mode. Go to "Editing" (Press F9 for shortcut). Then, click on the "Subdivide" button for four times. 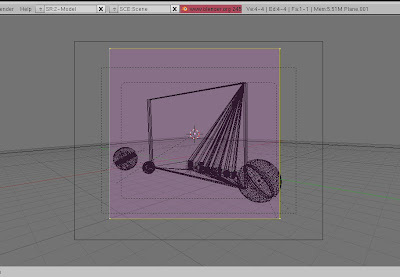 You will see that the vertices (the dots) on the 3d view double on every click. 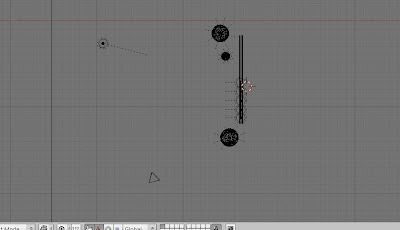 The aim here is to make enough dots, as each dot represents a halo ball. Once there is a huge number of halo balls squeezed together in the shape of a cube, they combine to create a cube looking halo. After that, go back to object mode. There are some extra things that needed to be added in object mode. The cube will look unrealistic if it is only glowing with a halo but not lighting up the near surroundings. We have to add lights into the cube. Press "Space" on your keyboard and go to Add -> Lamp -> Area. Then, change the view to wireframe. 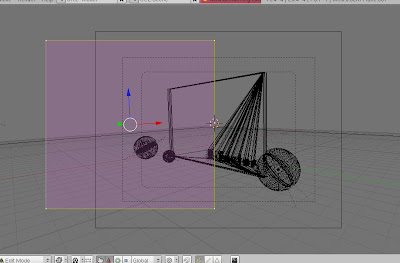 This is so that the cube will look like wire skeletons, hence allowing us to see and edit the lamps we place inside. Next, press "1" on your number pad to go to side view. You should see the 3d view change from the one on the left to the on on the right. Press R, and rotate the lamp 90 degrees clockwise. The lamp is initially faced down in the side view, the aim is to rotate it to shine sideways. Now, we have to create duplicates of the lamp. Firstly, go back to top view by pressing "7" on the number pad. The aim now is to make the cube emit light in the north, south east west directions, so we need four lamps in total. Duplicate the lamp and rotate it 90 degrees. Repeat the duplicating and rotating, till you have four lamps in total, one facing each side of the cube. Now, the glass cube is completed. Whats left is just the surroundings. For this example, we need to have a "floor" for the cube to sit on. If it is left alone, it will not look very nice. It needs a surface to shine its glow on to look more realistic. 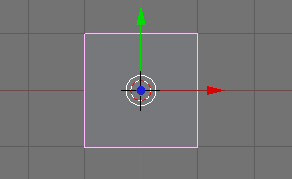 In Blender 3d, there isn't a mesh called floor. However, there's a mesh called a "Plane", which is a flat panel, and this can do the job by looking like any flat object you want. (Floors, walls, ceilings, screens, etc.) 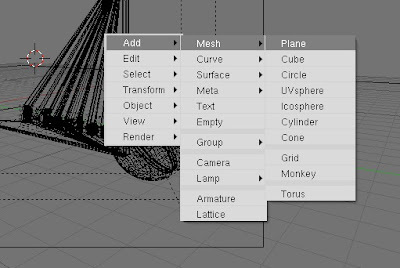 Press "space" on your keyboard and go to Add -> Mesh -> Plane. The plane is quite small by default. Press R and resize it to as larger, preferably several times the width of the cube. Go to side view by pressing "1" on your number pad. Then, drag the plane to sit just right below the cube. The plane needs to be given a nice material to showcase the cube's lighting effects. Go to the material settings (Press F5). Then, add a new material. Finally, we need to give the render a dark background. For this tutorial, lets make it black to simplify things. Go to "World Buttons", and change the color of the background from blue to black. 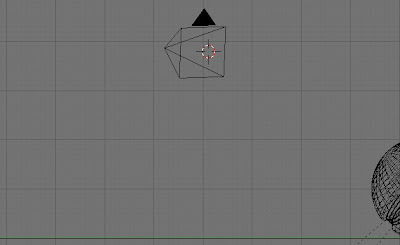 - This tutorial uses a cube to simplify things. Its main purpose is to show the concept of making "glowing" objects. You can do the same for other objects of different shapes. Just remember to give it a separate mesh for the halo, and lights for the obvious sides. 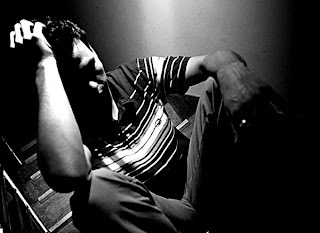 - Sometimes, having a single halo for the glow may not be realistic enough. To solve this, you can duplicate the halo mesh, then give it a different color and change the halo size. This can combine two or more halos together to make a single halo that has a "gradient". An example would be a lightsaber, which the halo fades from a bright white to another color.